Beautifully renovated art gallery apartment overlooking the historic royal mile located in the Old Town area of Edinburgh. The apartment showcases art, antique and contemporary furniture. 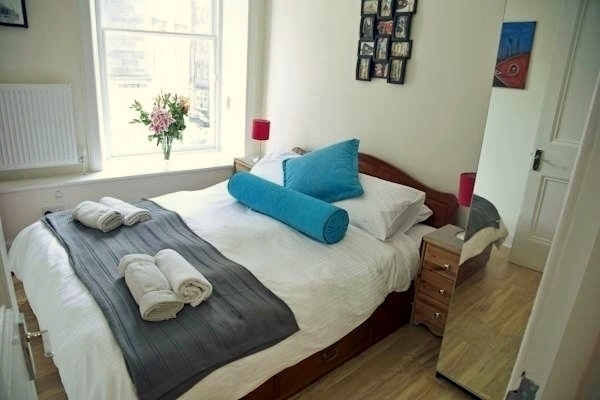 The Art Apartment is a treasure in the heart of Edinburgh, perfect for a group of friends or a family to enjoy the historic old town in a luxurious, comfortable and unique apartment. Conveniently located at a 2 minute walk from the Waverly Train Station, the express airport bus stop and airport tram link (opens at the end of May 2014). 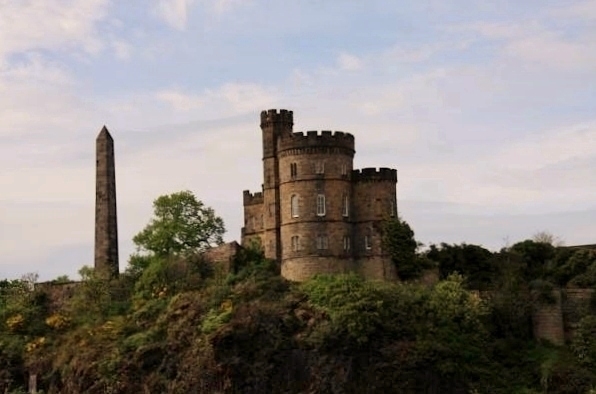 The location is perfect for site seeing around Edinburgh: 2 minute walk to Princes Street, 10 minute walk up the royal mile to the castle and 6 minute walk down the royal mile to the Holyrood Palace and Park. Up to 8 people can be comfortably accommodated in this colourful apartment (3 bedrooms with double sofa bed in lounge and 2 bathrooms). Free high speed wifi. 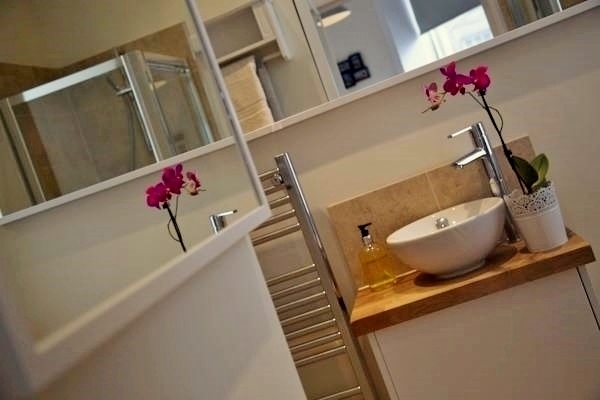 Beautifully presented modern kitchen fitted with all appliances and a comfy artistic lounge, an antique piano overlooking the royal mile and a contemporary handmade table. Windows galore adorn the apartment with plenty of light. 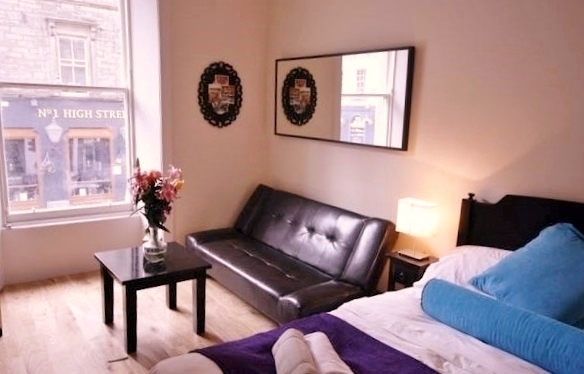 You can enjoy people watching on the royal mile from the comfort of the apartment. Just in case you get tired of looking out of the floor to ceiling windows over the royal mile, a 43 inch plasma flat screen internet TV is also provided with a DVD player. • The Royale Room: super king size luxury bed overlooking the historic royal mile east facing to the Holyrood Palace with an en-suite bathroom. 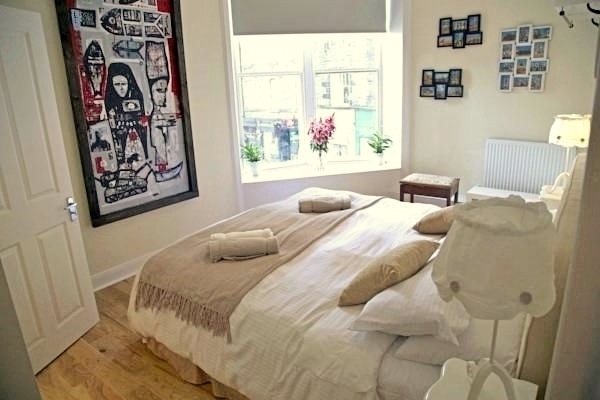 • The Art Room: king size (can be converted into two separated double beds) bedroom covered in original art pieces with leather sofa for relaxing overlooking the royal mile. 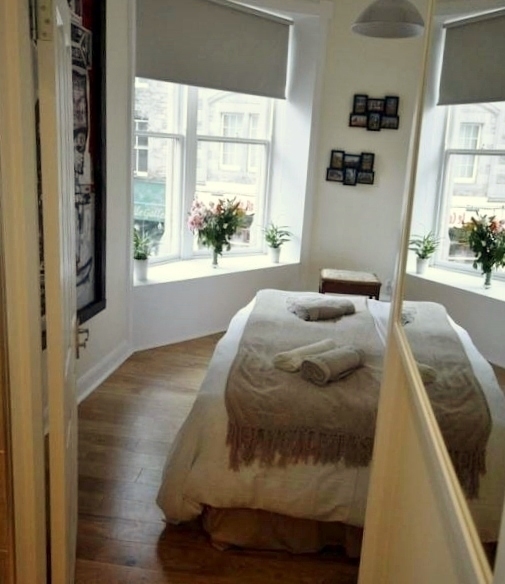 • The Scottish Room: cosy double bedroom show piecing original artwork overlooking the royal mile on a lovely window seat. • The Red open plan Lounge/Kitchen: fully fitted kitchen (oven/hob, fridge/freezer, microwave, kettle, toaster, pots/pan, plates and cutlery) with dining table (seats 6 people) and L shaped corner sofa bed (converts into a comfy double sofa bed). 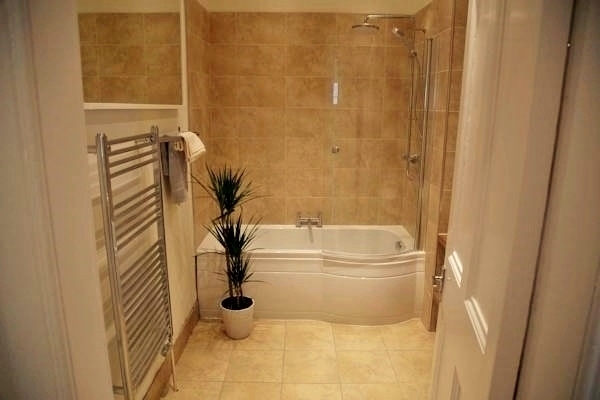 The apartment boasts two luxury bathrooms with shower and bath. Please let us know any special requirements or anything that you fancy to make your holiday extra special.